The NSA says sheep meat imports should be stalled if a no deal Brexit occurs. 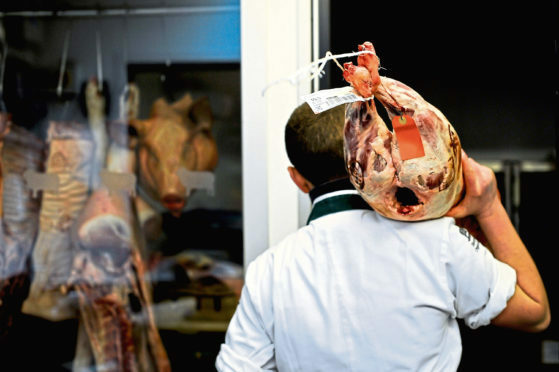 All imports of sheep meat to the UK must be stopped in the event of a “no-deal” Brexit, claims the National Sheep Association (NSA). The organisation’s chief executive, Phil Stocker, says long-term cold storage and guaranteed public procurement of lamb will be essential if no Brexit agreement is reached between the UK and Europe. “It would be highly damaging to the UK sheep sector if we ease the flow of imports – something the Government has suggested it would do to keep our manufacturing going – at the same time as the EU delays the approval of products destined for its side of the Channel,” said Mr Stocker. He said the only option in this scenario was to stop sheep meat imports and focus on getting all home-produced lamb into domestic markets. “It would give us challenges with seasonality, as lamb production fluctuates at different points in the year but using public procurement markets such as our armed forces, schools and hospitals, and investing in long-term cold storage would allow us to make the most of what would otherwise be a catastrophe,” added Mr Stocker. He said getting the UK listed as a third country, which is able to trade with the EU, will be a matter of urgency if no Brexit deal is reached. However UK sheep producers will still be affected by World Trade Organisation (WTO) terms and tariffs. “Expecting wider world markets to absorb what currently goes to the EU in the short to medium term is unrealistic, and so NSA says the UK Government must offset tariff costs in order to allow trade to continue to function,” said Mr Stocker. He called on the government to invest in industries to help them continue to operate after Brexit. “Food producing industries hardest hit by the failure to secure a deal should be prioritised, as output cannot be turned on and off like a tap,” Mr Stocker said. “Ewes are already pregnant with the lambs we may not be able to sell next year.